Dr. Vidya Devi Shenoy, like Dr. B.L. Shenoy was also a student of Madras Medical College, specialized in Obstetrics and Gynecology. She had worked at Osmania and Gandhi hospitals as a professor and civil surgeon and was also the superintendent of ESI Hospital, Sanathnagar. 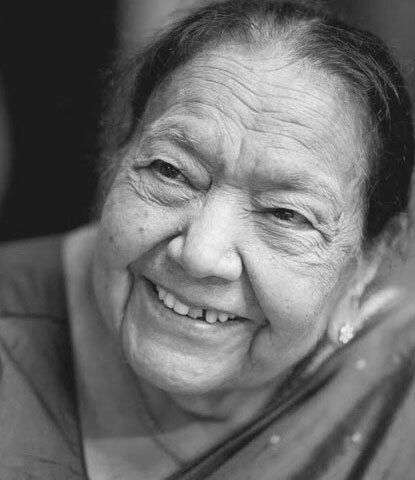 Dr. Vidya Devi Shenoy was born in the year 1923, and just at the age of 40 she founded Shenoy Nursing Home (now Shenoy Hospitals) along with her husband Dr. B.L.Shenoy and practised Obstetrics and Gynecology at Shenoy Nursing Home till 2016 which is till she was 93 years. She has now retired from active medical practice and stays with her daughter Dr. Mamata Deenadayal enjoying her time with grandchildren and great-grandchildren. Her passion for her profession is so much that even now she browses through her iPad wanting to know the latest development in Obstetrics and Gynecology. Shenoy Hospital © 2017 All Rights Reserved. Designed & Developed by Big Bears.